To download the RFQ, click here. 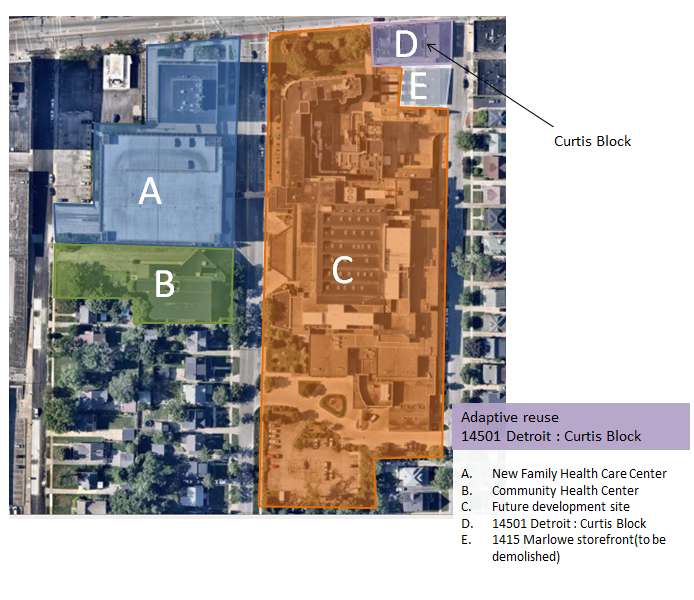 The city is seeking a development partner for the Curtis Block who can establish the building’s viability for the next 50 years, position the property to respond to market conditions, and retain the building’s key architectural elements. 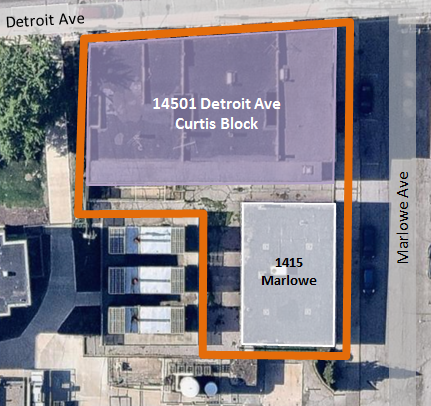 The City of Lakewood, Department of Planning and Development (P&D) requests qualifications from firms to rehabilitate and adaptively reuse 14501 Detroit , also referred to as the Curtis Block building. 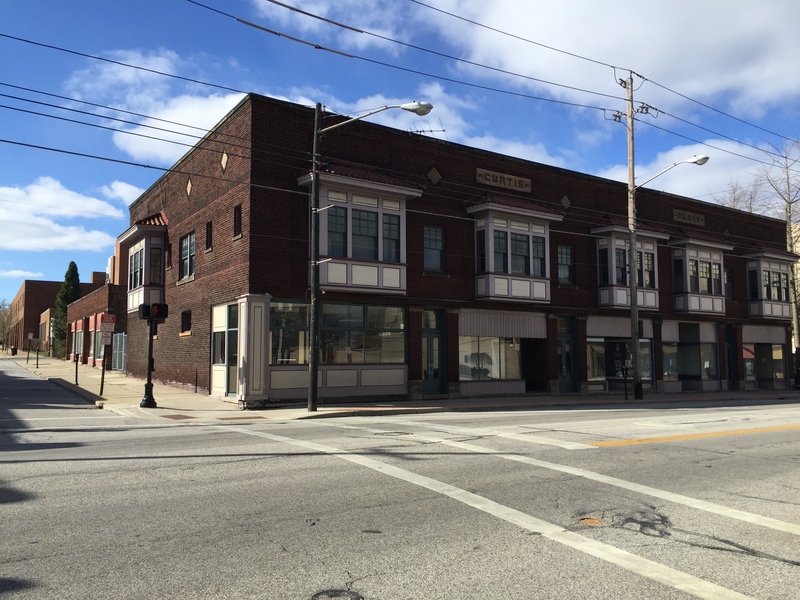 The city is open to a variety of creative partnership structures leading toward bringing the building back to life and contributing to the vibrancy of Lakewood’s downtown district. Statement – A statement no longer than one page that explains your interest, qualifications and a comprehensive description of your project approach. Portfolio – Current portfolio that describes recent successful execution of similar projects dealing with older commercial structures. Include photos, design sketches and site plans as applicable. Funding – Provide your funding strategy to execute the rehabilitation and adaptive reuse. Deadline – all submission must be received by the deadline. Late and incomplete submission may be rejected. The City of Lakewood, Ohio, is an inner-ring street car suburb of Cleveland. Nearly 52,000 people live within our 5.53 square mile community. Lakewood’s economy is large, diverse, and local. It is made up of primarily small businesses that are agile and thriving. Maintaining and enhancing the built environment in Lakewood’s downtown district has steadily grown our economic capacity. Downtown Lakewood will remain vibrant and active in the coming years. Fostering a vibrant downtown district leads to continued reinvestment and redevelopment. Adapting existing structures, like the Curtis Block, preserves community character while creating dynamic new spaces for growth within the fabric of the streetscape. This Curtis Block is in the heart of Downtown Lakewood, a thriving commercial district supported by a mix of development that meets community employment, entertainment, shopping, and service needs. The property is immediately adjacent to a 6 acre redevelopment site, and is within 500 feet of the proposed $32 million dollar Cleveland Clinic Family Health Center. The Curtis Block is located in a C-2 district at 14501 Detroit Avenue in Lakewood, Ohio. The building is on the southwest corner of Detroit Avenue, with pedestrian access via Detroit and Marlowe. Immediately to the south is a 1600 square foot single story retail building that faces east at 1415 Marlowe. The west side of the property is bordered by a 6 acre redevelopment site owned by the City of Lakewood. The Curtis Block has been designated a historic structure. 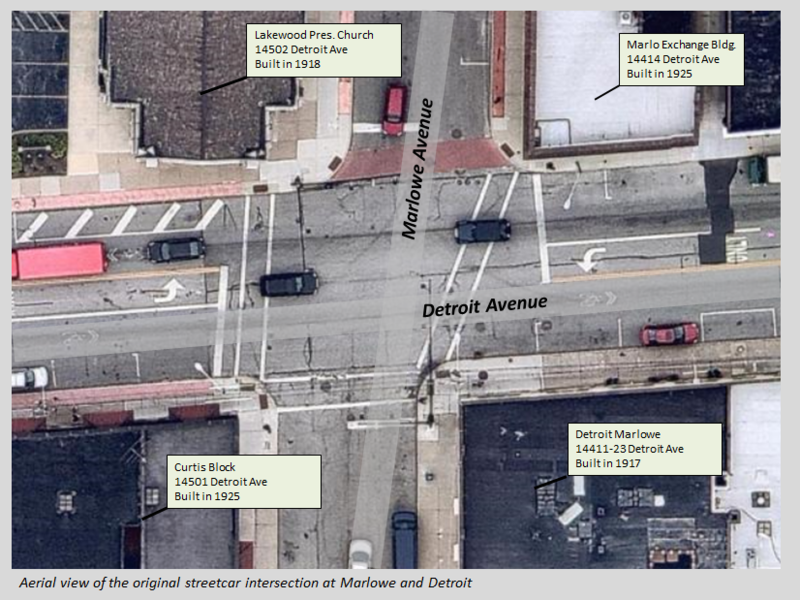 Additionally, it sits on a diamond-shaped intersection, one of the only remaining intersections of Detroit Avenue with all four corners still held by the original streetcar era buildings. Phase I Environmental Site Assessment: The City of Lakewood has conducted a Phase I Environmental Assessment of the site. The report indicated no environmental concerns that warranted additional testing. The final report is included as Appendix I. 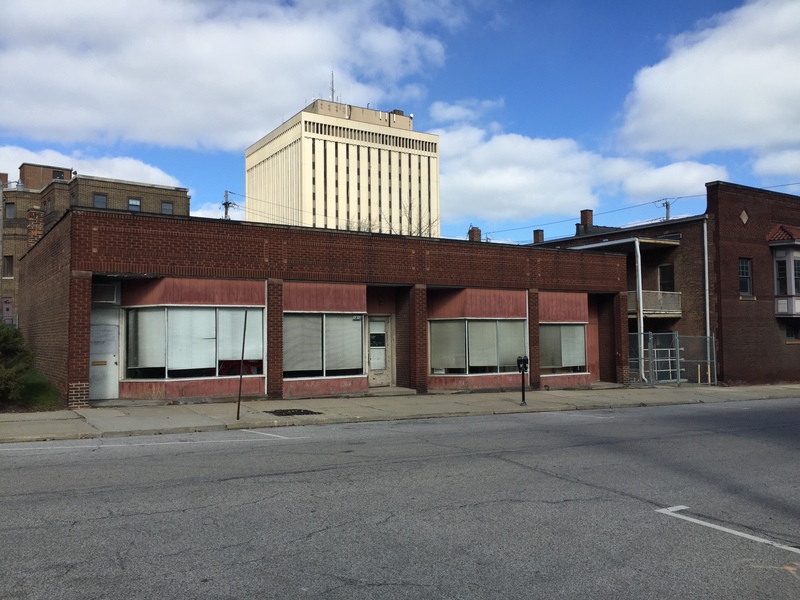 Asbestos Survey of Curtis Block and Marlowe Storefront: Asbestos sampling was conducted in the Marlowe Storefront to determine what abatement would be required prior to demolition. The Curtis Block was reviewed and suspicious materials were sampled that might be affected during a renovation project. The Asbestos Survey is included as Appendix II. Structural Analysis: A structural analysis has been completed evaluating the structural components of the building, including opinions of probable construction costs to make necessary repairs. The structural analysis is included as Appendix III. Local Historic Designation: The Curtis Block building has been designated a local historic structure under Chapter 1134 of the Lakewood Zoning Code. The designation application is included as Appendix IV. Community Vision: Interested parties should thoroughly review the City of Lakewood’s Community Vision, and specifically the Commercial Development Focus Area, as it provides the community’s shared goals and objectives related to Development in Lakewood. The Community Vision, Commercial Development Focus area can be found here. Vendors must adhere strictly to all requirements of this RFQ. No changes, substitutions or other alterations to the technical specifications of requirement stipulated in this Request for Qualifications, document will be accepted unless approved in writing by the City of Lakewood. This RFQ does not commit the City of Lakewood to award a contract or to pay any costs incurred in the preparations or submission of proposals, or costs incurred in making necessary studies for the preparation thereof or to procure or contract for services or supplies. The City of Lakewood reserves the right to reject any or all proposals received in response to this RFQ and to negotiate with any of the vendors or other firms in any manner deemed to be in the best interest of the City of Lakewood. The City of Lakewood reserves the right to negotiate and award only a portion of the requirements; to negotiate and award separate or multiple contracts for the elements covered by this RFQ in any combination it may deem appropriate, at its sole discretion to add new considerations, information or requirements at any stage of the procurement process, including during negotiations with vendors; and reject proposal of any vendor that has previously failed to perform properly or in a timely manner contracts of a similar nature, or of a vendor that, in the opinion of the City of Lakewood, is not in a position or is not sufficiently qualified to perform the contract. This RFQ contains no contractual proposal of any kind; any proposal submitted will be regarded as a proposal by the vendor and not as an acceptance by the vendor of any proposal by the City of Lakewood. No contractual relationship will exist except pursuant to a written contract document signed by the authorized procurement official of the City of Lakewood and by the successful vendor(s) chosen by the City of Lakewood. Proposals may be modified or withdrawn in writing, prior to the proposal closing time specified therein. Proposals may not be modified or withdrawn after that time. Any and all information submitted may be subject to disclosure under public records law. Any future contractual agreements would have to be approved by Lakewood City Council. All proposals will be evaluated in accordance with the provisions of the Financial Rules and Regulations of the City of Lakewood and the evaluation criteria as specified in this RFQ. The evaluation procedure will consist of a formal, substantive assessment of the proposals received. Detailed evaluation leading to a final selection or award may take several weeks. Does the RFQ identify the proposer(s) credentials and the experience of the team that will be conducting the plan? Does the response to the RFQ adequately describe what the proposed developer will deliver as an end product to conclude the project? How well does proposer’s response fit with Lakewood’s Community Vision?